If you are a trader that is relatively active online, then you already know that everyone is looking for an advantage over others. As you can probably imagine, using the correct tools can make a huge difference in your day to day trading. One of those tools is NinjaTrader 8. Do you want to know more? NinjaTrader 8 is a platform that will offer you an incredible number of possibilities when it comes to trading. As you can probably guess, NinjaTrader 8 is an upgrade from the previous version. And what an upgrade it is. It features over five hundred improvements compared to the previous version. But, how will that help you? There are multiple ways this service can help you. Either via order submissions, management, analysis, or even via their customer support. So, let’s take a closer look at some of the options. If you are relying on multiple smaller transactions to bank a profit you know how boring order submission can get. However, NinjaTrader 8 does offer help with that issue. With the tools they offer, you can have much clearer visualizations and faster entry. This way, you are protected against slippage a lot more than usual. Not only will you be faster to enter a position, but you will have a lot easier time managing it too. 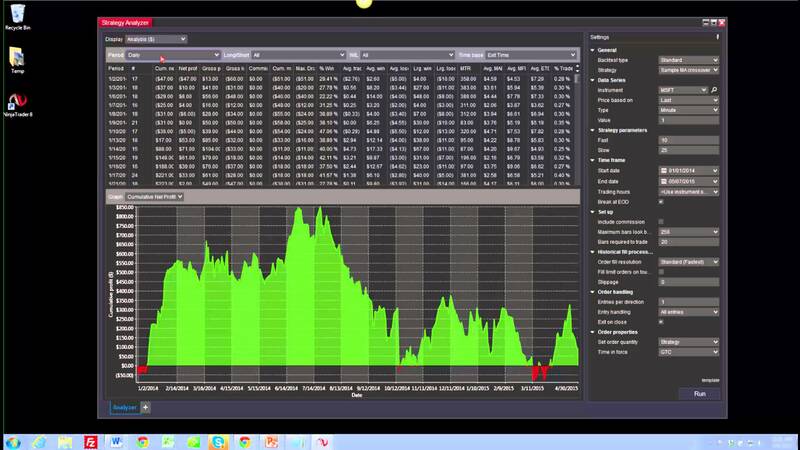 NinjaTrader 8 will allow you to define your strategies with a lot more precision and ease. You can set up automatic orders. You will be able to forget about your worries with automatic stop-loss orders, break-even stops, and even multiple profit targets. With these features, you will be able to set your entry and exit orders in just a couple of seconds. In order to maximize your trading gains, you will need to perform a comprehensive analysis. And, thankfully, NinjaTrader 8 is here to help you. With the tools in this service, you will be able to analyze any available market easily. And it is really simple to do with the tools NinjaTrader 8 offers. With the tools you have at your disposal your day trading can be taken to an entirely new level. Setting up your trading tasks is an amazing thing. It will save a lot of time and effort while reducing the costs of operation. As you can imagine, there are always technical difficulties to bear in mind when you are automating your trading. So, this is why they have a readily available support team for you. Simply put, you should not worry about downtimes too much. The new charting feature is significantly superior to NinjaTrader 7’s. With NinjaTrader 8 you will be able to use the drag and drop function. Scroll easily through the chart to analyze older data, enhance the bar spacing and finely tune your interval selector. The visualization feature is also rather advanced as you can view the chart in multiple different ways. This means you can analyze it easily. With the newer version, they have also improved the alerts feature. Now, you will be able to set up trading strategies with more complexity than before. And you do not have to be a programmer to do so. With the new system, you will also be able to compare separate entries, customize triggers and even set your own sound alerts. NinjaTrader 8 offers both static and dynamic SuperDOM features which will help you improve your analysis. This incredible feature will let you add indicators to your price-column display. This offers the all-important visualization of your key values. The interface is streamlined, simple and modernized, which will make the system a lot more optimized for use. You can share your settings with other traders, duplicate them in a new window and set up alerts easily. Believe it or not, you can download this program for free. In fact, you will be able to use almost every single feature free of charge. 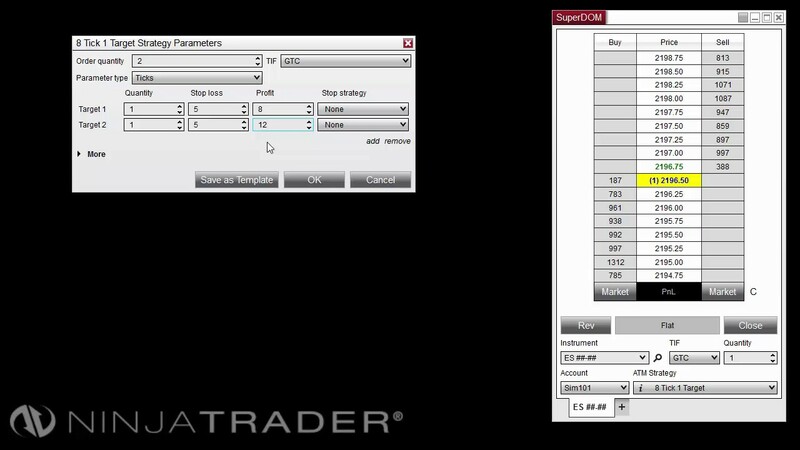 The only service you have to pay is the license you will require to connect NinjaTrader 8 with your brokerage account. This will cost you $600 per year. Of course, you can opt for a shorter period, but it will cost you a bit more. A period of six months will cost you $330 while a quarter-year will be $180. And, of course, you can opt to buy it instead of renting the license for $999. Which is really worth it if you plan on using it for a longer period.